Arizona, known for its desert terrain, does have cooler mountainous regions, such as the Flagstaff and White Mountain areas. 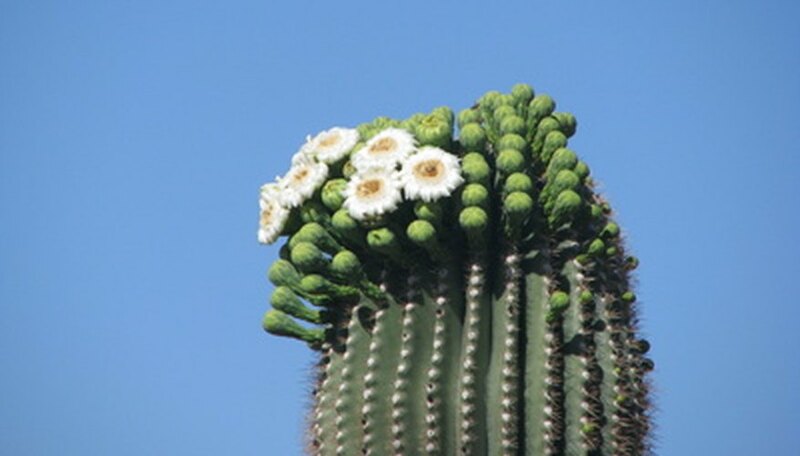 Many of the desert cactus which grow throughout Arizona have spectacular flowers, such as the saguaro, which is also the state flower. Arizona flowers aren’t confined to cactus flowers, or to flowers that grow in the state’s cooler mountain regions. It’s possible to enjoy an Arizona desert flower garden, without a single cactus. 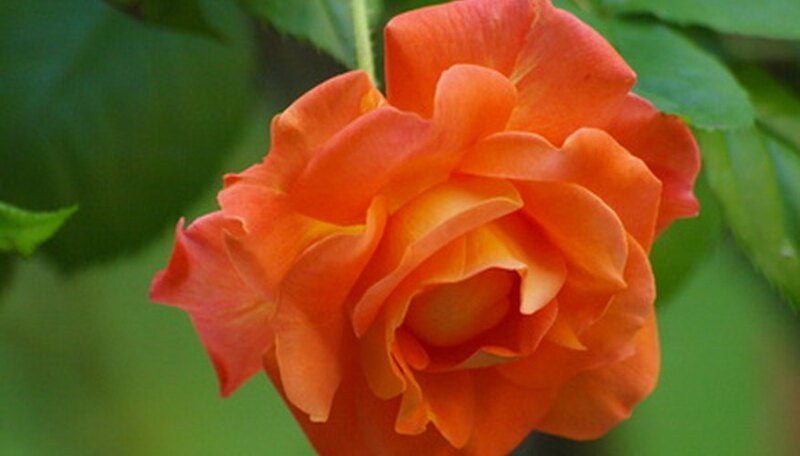 Roses will need some shading or protection during severe summer temperatures, yet Arizona’s dry heat is a healthy environment for the rose, which is susceptible to fungal infections caused by humid and moist environments. Even in some of the state’s hottest regions, such as the Lake Havasu area, rose plants can be successfully grown. 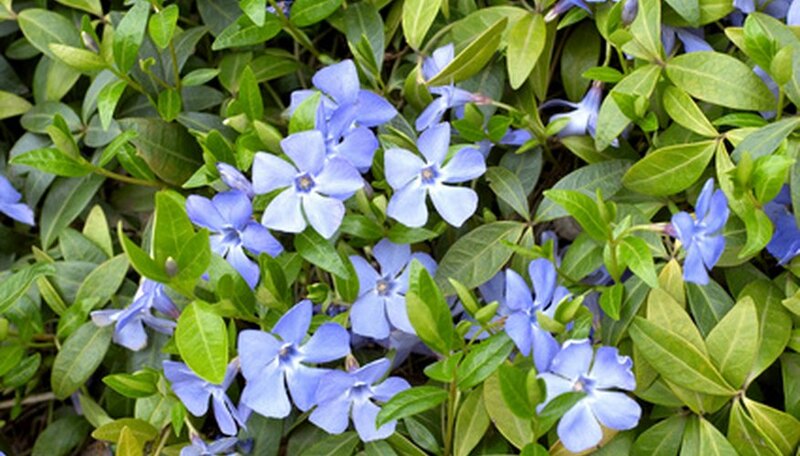 Originally from Europe, the vinca plant makes an excellent Arizona landscaping groundcover. Its small five-petal flowers come in a variety of colors, including blues, pinks and white. When other plants struggle to survive the heat of Arizona’s summer, the vinca is capable of surviving and thriving. The vinca is suitable for flowerbeds. The bird of paradise, or crane flower, is a tropical flowering plant, originally from South Africa. Its distinctive flower, with long slender petals, resembles a tropical bird taking flight. 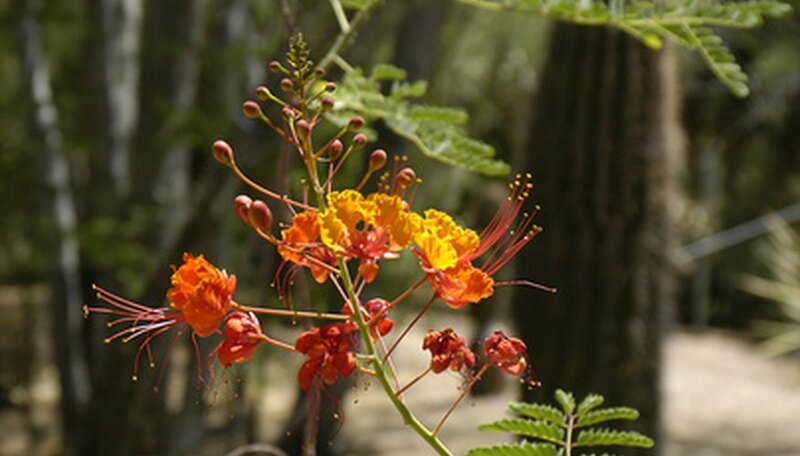 Another flowering plant, the Caesalpinia pulcherrima, is also referred to as the bird of paradise. Its bright orange, red or yellow flowers grow in clusters at the end of a protruding stem. Both bird of paradise plants are used as ornamental plants in Arizona. The Baja fairy duster is an evergreen or semi-evergreen bush, depending on which region of Arizona it grows in. In the Tucson area, it grows as a semi-evergreen. 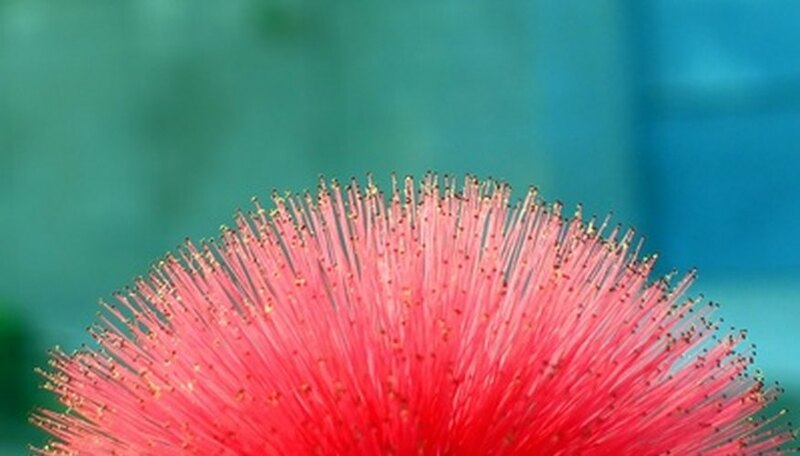 Its flowers, which resemble a tassel or brush, attract hummingbirds. The flowers bloom in the summer and fall, and come in rose, bright red and plum colors. The plant is capable of growing into a large bush, reaching 6 feet in height. The lantana is a familiar flowering plant for Arizona landscapes. Its delicate tiny flowers grow in clusters and come in a variety of colors, including orange, yellow, pinks and lavender. 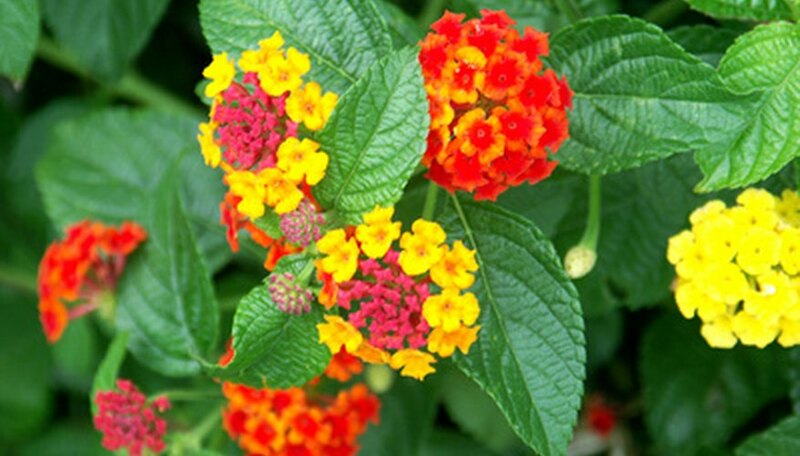 The lantana begins flowering in the spring and will continue until frost arrives.